MYTH: Methadone just replaces one drug for another. You are still an addict. REALITY: People who take methadone as a treatment for opioid dependence and addiction, are no more addicts than are people who take daily inhalers for chronic asthma, tablets for controlling high blood pressure, or insulin for diabetes. Methadone is a medication. Methadone treatment allows you to live a normal life, work, go to school, or care for your children. MYTH: Methadone is/is not a cure for opioid addiction. REALITY: It depends on how you define cure. Methadone is a medication that will control your addiction, so you can get back to normal functioning in life. If you define cure as absolute abstinence from all opioids, there is no medication or technique that has been shown to achieve that like a magic bullet. However if you define cure as getting back to normal functioning, work and family life, then methadone maintenance can be viewed as an effective cure since it has been shown more than any other medication or method to achieve these goals. MYTH: Methadone is only for "hard-core" heroin addiction, not for prescription pain killer addiction. REALITY: Methadone is useful and used for dependence and addiction to all types of opioid drugs, such as oxycodone (oxycontin® or percocet), fentanyl, hydromorphone (dilaudid®), heroin etc. All these drugs behave similarly in the body in causing addiction and dependence. If someone is diagnosed and affected by opioid dependence, methadone maintenance treatment can be an effective option for them. MYTH: Methadone will get you high. REALITY: If you’re looking for a high, you’ll be disappointed with methadone. When you first start treatment, you may feel lightheaded or sleepy for a few days, but you will quickly develop a tolerance to these effects. Expect to feel “normal” when you’re on methadone. MYTH: Methadone will make you sick. REALITY: The only time you might feel sick from methadone is at the beginning of your treatment, when your dose might not be enough to keep you free of withdrawal symptoms. In most cases, if you do feel sick, it’s mild. Your dose will be adjusted and you should feel better within a few days. When you’re on methadone you can catch a cold or any other illness just like anyone else, but you’re much less prone to illness than illicit drug users. People on methadone are less likely to use needles, and more likely to eat well and take good care of themselves. When you’re on methadone you won’t wake up sick every morning. If anything, methadone will help you to get well. 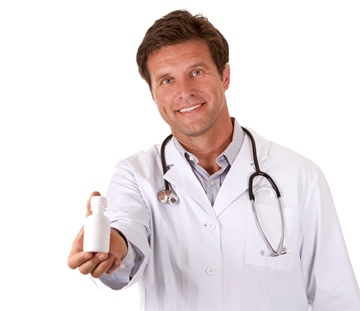 MYTH: Long-term use of methadone damages the liver, the thyroid gland and the memory. REALITY: Long-term use of methadone is safe. It will not damage your internal organs, and when you are on the correct and stable dose, it will not interfere with your thinking. If you have a medical condition such as hepatitis or cirrhosis of the liver, methadone maintenance treatment can improve your access to medical treatment, and help you to manage the illness. People above age 50 may be at risk for osteoporosis and methadone may increase this risk. If on long-term methadone treatment, people above this age should be screened for osteoporosis. REALITY: This is a common myth, and although it’s not true, the reasons behind the myth deserve some consideration. The most likely reason for higher incidence of tooth decay in the addiction community is that like many other daily routines, dental hygiene is not taken care of by the patients. Nevertheless, one of the side-effects of methadone, like many medications, is that it may give you a dry mouth. This can make your teeth more prone to the production of plaque, which is a major cause of gum disease and tooth decay. To protect your teeth, follow the dental routine recommended for everyone: brush and floss every day, rinse your mouth with mouthwash, go to the dentist at least twice a year, and cut sugar from your diet. Drinking plenty of water can also help to relieve dry mouth. As a side note, the stimulant class of drugs such as cocaine, methamphetamine, and "speed", in contrast to opioids, are more likely to cause tooth decay due to causing severe dry mouth. If you’re on methadone, and you feel like your bones are rotting, it’s probably because you’re on too low a dose. Bone ache, which may feel like bone “rot,” is a symptom of opioid withdrawal. When your dose is adjusted correctly you should not experience any aching or other symptoms of withdrawal. MYTH: Methadone makes you gain weight. REALITY: Not everyone gains weight when they go on methadone, but some do. This is usually because methadone improves your health and appetite, and so you eat more. If you’ve been using drugs for a long time, you may be underweight and need to gain a few pounds. Even though the methadone drink is not “fattening” like sweets and fatty foods, methadone can slow your metabolism and cause water retention, which can lead to weight gain. You can control weight gain by choosing healthy foods that are high in fibre such as whole grains and fruits and vegetables, and by exercising regularly. If you nourish your body, you’ll keep the pounds off, and more important, you’ll feel good. MYTH: It’s especially hard to get off methadone. REALITY: Methadone is an opioid like others such as oxycodone (oxycontin® or percocet), fentanyl, hydromorphone (dilaudid®), heroin etc. so getting off methadone will be similar to getting off them. The symptoms of methadone withdrawal come on more slowly than those of heroin withdrawal, and can last longer. If someone has a very difficult time coming off methadone, it means that they are still affected by opioid dependence and addiction. It means they are not ready. This is similar to someone with asthma who is well and stable on inhalers, and then claims that it’s too hard to get off the inhalers. Methadone is a medication to treat and control opioid dependence/addcition. While being stable on methadone can bring a opioid-dependent patient back to life and function, it does not simply make the condition of opioid dependence go away. You can visit this section to find out more about: how to get off methadone.